Mogis, God of Slaughter: This deck is a multiplayer punisher deck. 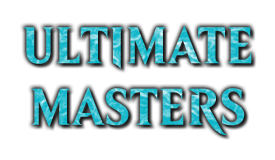 The goal of the deck is to punish your opponents by making them pay life to reduce your board advantage. The elements of this deck also creates a political element. Not only are you free to build your board in some games, you can also be a nagging distraction for your opponents in others. The deck may not be a power house, but it is enjoyable to pilot. 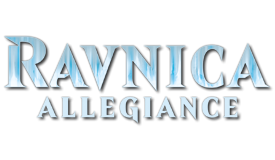 The deck has very humble origins, one card: Choice of Damnations. I was up late one night trying to figure out if Splice onto Arcane.dek was playable (hint: it isn't). After vetting several Arcane spells I happened upon Choice of Damnations. It was that moment immediately that a multitude of Punisher cards came back to me. What if I just jammed them all? 5-color. After careful consideration ( and a quick look at my bank account), I decided 5-colors might not be worth the hassle (or the mana fixing). So I built a Grixis Punisher style deck so I could have access to Fact or Fiction. I quickly borrowed cards from my Sedris, the Traitor King deck and began testing phases. It was fine, it was fun, but it wasn't totally awesome. I wanted to use Tribute cards, and Will of the Council cards, and I really, really wanted Council's Judgment. Mardu was the way to go. Around this time Alesha, Who Smiles at Death was spoiled. I was totally in. This Punisher deck is more of a mid-game/late game slumbering giant. You get spotty control of the board throughout the game, enough spells to disrupt some shenanigans, its good for the occasional boardwipe, it really shines later on in the game. 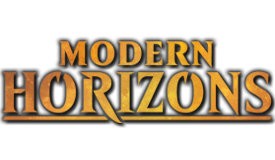 All of the incremental damage that players have accrued from Shocklands, Fetchlands, Pain Lands, fighting each other, those little pings start to eat mean much more. 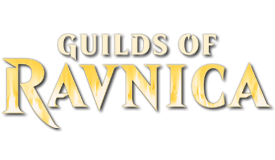 Slowly but surely they're asked to pay life, sacrifice permanents, discard cards, pay mana; and you'll find yourself behind the drivers seat. After an overhaul to another one of my decks, I decided to drop from this deck. It was on 2 cards that were any good Council's Judgement and Magister of Worth have been simply returned to Cromat's Modal Madness. The new general is the extremely formitable Mogis, God of Slaughter. Why Mogis, God of Slaughter? 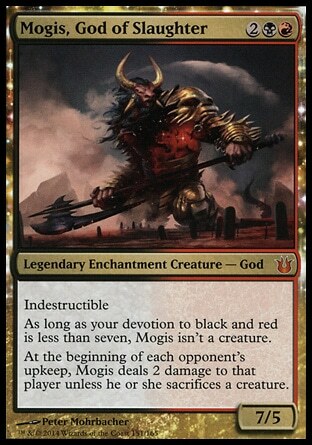 Mogis, God of Slaughter is a great General that places us firmly in the Rakdos color range. Rakdos has some of the absolute best selection of punisher spells. Mogis is also a terrifying beater that has a very relevant punisher ability himself. You want to punish your opponents. It's the most obvious reason. Punisher style Commander decks are difficult to come by, but it does provide a fun play style that will often times baffle your opponents as often as it makes you the target. You don't always have to win! Sometimes Commander can be about fun, enjoyment, politics. Having fun is a core tenant of Multiplayer games. You like some variance to your games. As mentioned above, this deck is about trying to have fun. Games play out differently from each other. Maybe some games your opponents pay Tribute, some they don't. Some may view you as a powerful ally, some games you're the bane of their existence. It really does depend on the situation. All I can say is that this is fun in a random pod at your LGS, or at the kitchen table with good friends. You prefer winning at all times. There isn't a 2-card combo or an Ad Nauseam solitaire combo at the end of this list. It is straight forward. Tap mana, play something people hate, see if they try to get rid of it or see if it stays. You enjoy playing elaborate combo decks. This is not one of those. It's a gimmick deck that can be fun to play. Not to say the deck is on autopilot, there are difficult decisions to be had for sure. But it's not likely you'll be spending much time in the tank trying to pilot this right here. Alesha, Who Smiles at Death: Previous commander general Alesha served as a great leader for this deck. However, as time wore on - and certain costly cards from this deck (namely the lands) needed for my Anafenza deck, I realized I don't really need to be running white at the moment. It was actually actively bad for me to be doing so. With the exception of 2 white cards it was very unnecessary. Those 2 cards found a home and all the expensive lands found new home. Kaalia of the Vast: While she is an extremely powerful commander - it does nothing for us here. Kaalia decks tend to build themselves, and really none of those elements exist here. To further confound issues, she is quite hated. Entering a pod against players you're not familiar with can lead to an early exit if they even THINK you're going to cheat big creatures onto the battlefield. Better to stay away. 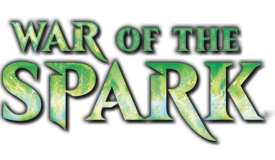 Oros, the Avenger: While it's in Mardu colors, it too doesn't do much in the way of helping our strategy. I guess the AoE damage can be effective for controlling the field, that isn't what we're looking for. While I do tend to enjoy the more subtly political moments these Dragon's have (Dromar, the Banisher in particular) this one is a miss. Tariel, Reckoner of Souls: Here is the closest competition that Alesha has in terms of potential Generals. I love the randomness of getting a creature back from an opponent's graveyard. It was indeed a toss-up between them, but I feel Alesha is easier to cast, does more for the deck and isn't as much of a target. Zurgo Helmsmasher: Yikes! Zurgo might smash helms, but he doesn't do anything we need. He's a straight up aggro monster that swings every turn and accrues Commander damage. Not something we need to be doing, but great for those decks that play to his strengths. Choice of Damnations and Do or Die are strangely omitted from sorceries. Will update! Choice of Damnations is my inspiration for the entire deck. This is the coolest deck I've seen in awhile. Yeah. It's lots of fun in random pods or with friends. It's the opposite of group hug, group punishment! Some cards are pretty weak, and will be upgraded as the budget allows. But overall its been one of my more fun deck I've created over the years. The others being an Izzet coin-flip deck - every card has a coin flipping action. I have a 5-color Modal spell deck too. This one so far is the better of the 3 theme decks. I'm a spike by nature, but I like building decks like this because it seems so natural for the format. A bit costly for what it is. I know it'd not be good with Alesha in play, I just can't spend $11 on it, especially with the fact I'm missing better fixing. If it's not outside your budget restrictions, check out Painful Quandary! Painful Quandary is a great card. I'll be including that also. I just noticed how high my mana curve is. can anyone think of any creative ways to ramp my mana? Cabal Coffers or something more creative? Could you explain the reasoning behind Lethal Vapors? The player activating the ability skips their next turn. So basically creates a Tempo swing or all creatures are destroyed when they enter the battlefield. 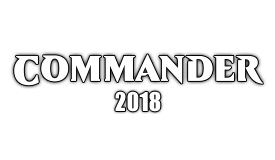 Did the Commander rules change since I last played? I thought you could only use cards that match your General's color identity, so for Alesha only red cards. The colored mana symbols in her activated ability also count for color identity. The general's color identity includes any mana symbols present in the card's rules? text. Therefore Alesha is Red + White + Black. It wasn't always that way. It used to just be mana cost. When did this change come into effect? A few years ago, actually. Awesome deck. I am making something similar, but with Tasigur as my general. You have given me some good ideas.